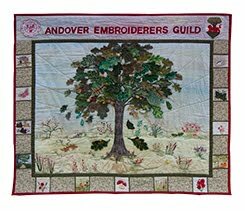 Andover Branch Embroiderers' Guild: New Gallery Pictures! Our gallery has been updated with the pictures of our work displayed at the South East West Regional AGM. A big thank you to everyone for putting on such a beautiful exhibition. Some items will go on show in Andover's library window from 14 - 19 October 2013.